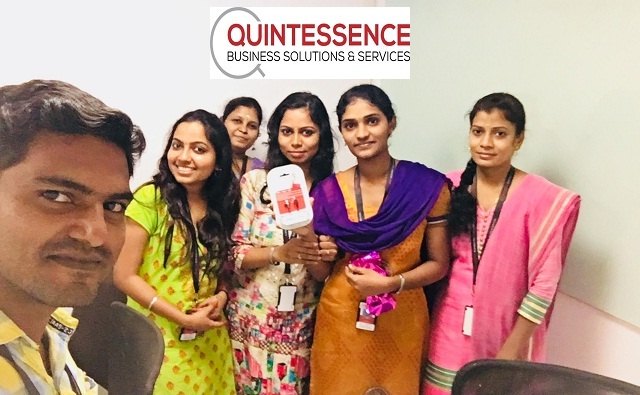 Quintessence Business Solutions Walk-In Drive Opening 2019 Associate/Senior Associate Posts Download Application at www.qbsshealth.com Quintessence Business Solutions Career Job has Recently Announced 2019 regarding Associate/Senior Associate & Various Job Openings Interested and Eligible Candidates can Download Application Through Official website. Quintessence Business Solutions Urgent Job Opening @ Chennai. Salary: Rs: 1,50,000 - 2,25,000 P.A. 1. Very good in domain. 2. Should have worked in AR Analysis + Calling atleast for 12 months. 3. Should be willing to work in Night shift. 4. Very Good Spoken English. Rajiv Gandhi Salai, Taramani, Chennai - 113.